A parachute is a great way of novelty way of involving groups of children in an activity together. Ideal for birthday parties, primary aged groups, Brownies, etc. 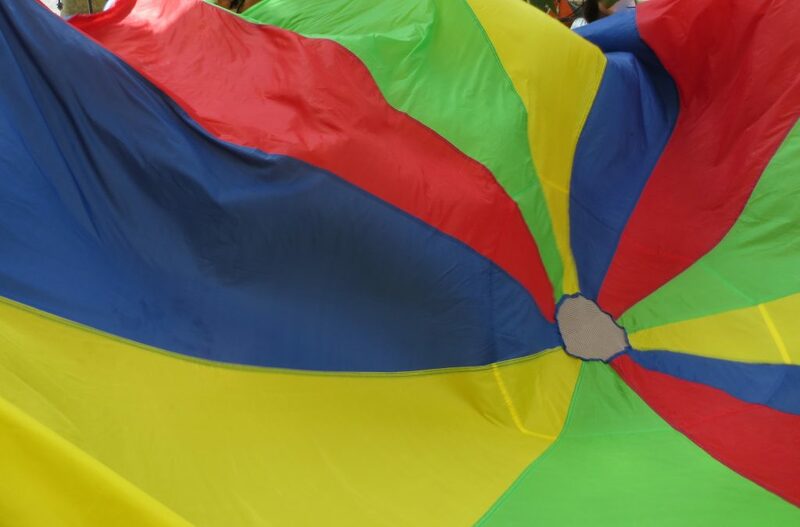 Check the internet for a wide variety of games which can be played with this 5m colourful lightweight parachute.